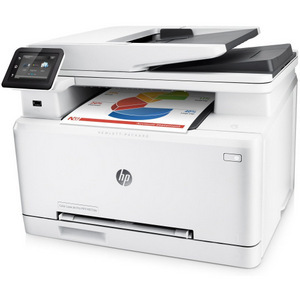 Find the lowest prices on HP Color LaserJet Pro MFP M277n toner. We offer compatible HP 201X toner cartridges that carry the same print specs and offer the same print quality as original equipment manufacturer (OEM) cartridges. However, our cartridges will help you save almost half off the OEM price! You’ll get up to 2,300 pages of color print work and 2,800 pages in black just like an OEM HP cartridge would offer, making it easy to crank out any assignment with ease. Our toner won’t disappoint. You’ll enjoy the ease of installation, consistent performance, and high-quality results this toner offers. We always adhere to industry measures of quality and performance during and after the manufacturing process. Check out our individual remanufactured HP 201X toner cartridges or stock up with a four-pack for more convenience and even more savings today!